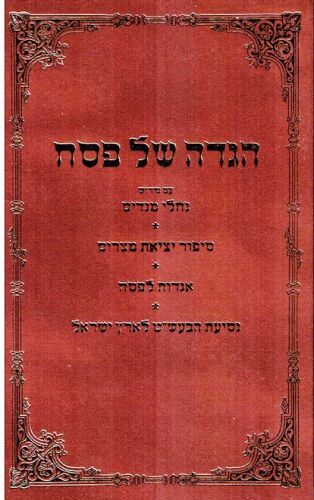 Description: A beautiful new haggadah,an edited and updated version of the standard Breslover Haggadah "Ohr Zoreach" with many additions from Likutei Halachos and other original texts,undoubtedly the most complete of it's kind.Contains many stories from Chazal about the Exodus from Egypt,The splitting of the Red Sea,the journey in the desert ,the famous story of the Baal Shem Tov's attempted trip to Eretz Yisrael,plus many interesting insights.Edited by Rabbi Nachman Borstein z"l and his son Rabbi Avraham Shimon Borstein shlita.Publishing data: Eretz Yisrael,2010 6"x9" H.B. 317pp. haggadah with nekudos,commentary without nekudos.